Are you looking for the best solutions for SMEs? 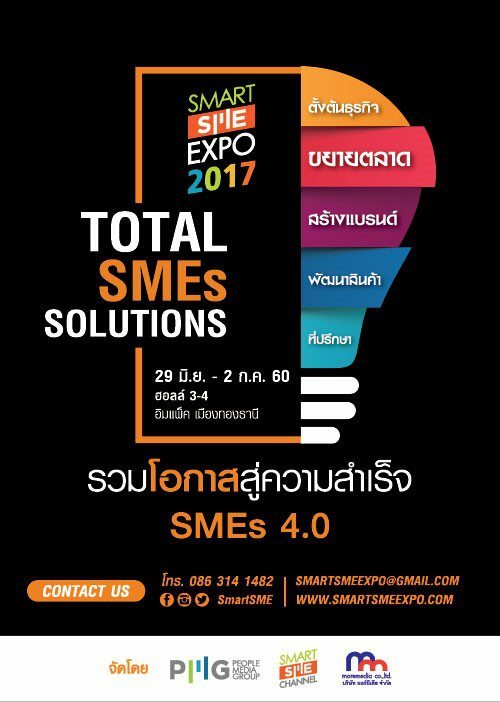 Smart SME EXPO 2017 showcases our unique products & services for SMEs startup to help you grow your business. Find us at booth no. D22 during June 29 – July 2, 2017 at Impact Challenger 3-4, Impact Arena Muang Thong Thani.